I was born and raised in a small farming community in Osceola, Wisconsin. When I was 14, we moved to a little town in Michigan called Brighton, where I went to Brighton High School. I graduated and went to EMU to study Communications and Psychology. When I finished college, I was hired at a local mattress store called Mattress World, which brought me back to Brighton. I grew with the company, and nine years later Mattress World was bought out by Art Van. 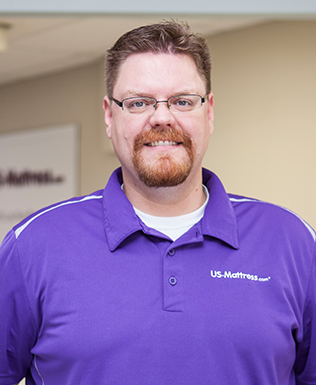 US-Mattress offered me a position, which I quickly accepted -- and now I can say I am truly proud to be part of Americas #1 online retailer.